This is a shield-shaped Westinghouse Refrigerators porcelain sign. This particular Westinghouse Refrigerators sign is orange with black text. 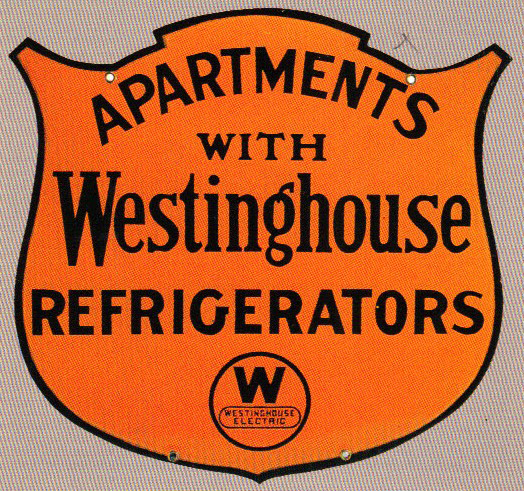 It reads, “Apartments With Westinghouse Refrigerators” and features a black Westinghouse Electrics emblem at the bottom of the sign.